I’m obsessed with the dresser. Isn’t it so GLAM?? predictable use in the bedroom. What do you think? 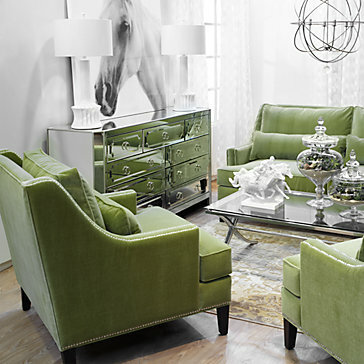 Do you like the green chairs with the green sofa? Or is it too matchy?